We all know the ability video, images and sound have to stir a heart or change a mind. Harness that potential with television and radio spots to keep your name front and center when the need arises. There is no one that has more professional, award winning ads on more subjects for funeral service than MKJ. Our marketing advisors are ready to help you identify which ads have the message you want to deliver, place your ads in the ideal media outlets, time slots, and with enough frequency to maximize brand recognition and see results. 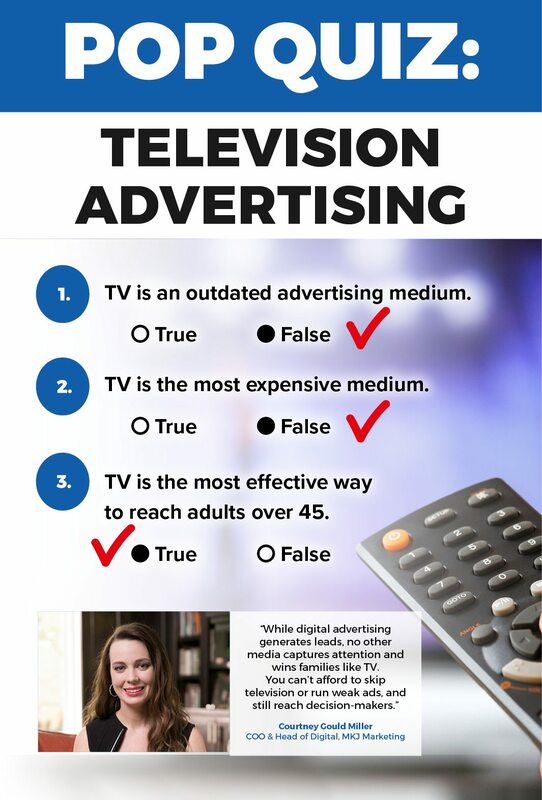 Television continues to be the most powerful medium for advertising impact. We use it to tell your story. Our creative writers and production team can conceptualize and execute an ad that will make an emotional connection with the viewer—communicating in the deepest way that you understand what’s important to them. MKJ’s video production is unparalleled, coordinating everything from set design and talent to sweeping drone shots of your facilities. Our promise: We’ll make you look good. No one in the death care industry approaches making TV ads like we do. And we think television advertising should be available to all funeral homes, particularly because of how affordable cable media can be. That’s why we’ve developed award-winning, pre-produced spots on nearly every topic you’d want to cover. These spots are personalized with your funeral home name and logo, so viewers will feel like it’s a message just from you. Each spot is licensed exclusively by market, so once you’ve booked your ad, no one else in your area will have it. Benefit from our in-depth media research when MKJ Marketing negotiates your media rates. We know the right time slots during prime programs. We advise on the right frequency for brand recognition. And we negotiate rates and oversee your schedule with the cable companies. All this at no additional cost to you when we place your media. Contact us today to speak with our Media Specialists. You’ll be amazed at how affordable cable is. Despite its wide reach, radio is an incredibly intimate medium. It’s your opportunity to communicate one on one with consumers as they drive. They’re a captive audience. We have a vast library of radio scripts to choose from. Choose something that’s warm and personal or maybe an ad with a newsy or informational vibe. What’s most important is that it captures your funeral home’s personality. 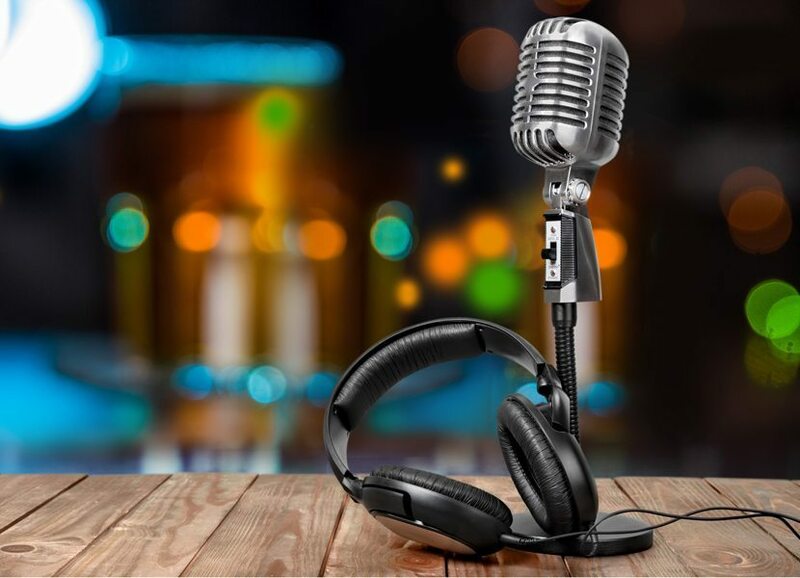 Record it yourself, or we can book a professional voiceover artist and add music.